When Irene needed cataract surgery, she had no way of getting from her home in Provost, Alberta to her appointment in Saskatoon. Without a car, she was dependent on a friend-of-a-friend to drive her to the nearby town of Macklin in the middle of the night, so she could catch the bus to cross the border. Irene’s story is just one of many about rural Alberta residents coping with the serious lack of pubic regional transportation. Until recently, rural Alberta communities were well connected by bus and train, enabling residents, who couldn’t or didn’t drive, to get from one community to another. As rural transportation options dwindled over the years, the final blows came in 2011 when Greyhound cut its essential passenger service to Battle River region, followed by its service to another dozen small towns across the province in 2012. In an attempt to ameliorate this situation, the Battle River Bus pilot project was developed as an affordable regional model for rural transportation in the Battle River region, home to over 150, 000 people. The Association for Life-Wide Living (ALL) of Alberta launched the concept for regional bus service as part of its multi-phase regional transportation plan, which was drafted in 2012. With the support of the Alberta Rural Development Network, Camrose County and the local Thrift Store the weekly bus service was launched in May 2013, connecting five different rural communities – including Bashaw, Edberg, Ferintosh, New Norway and Duhamel. 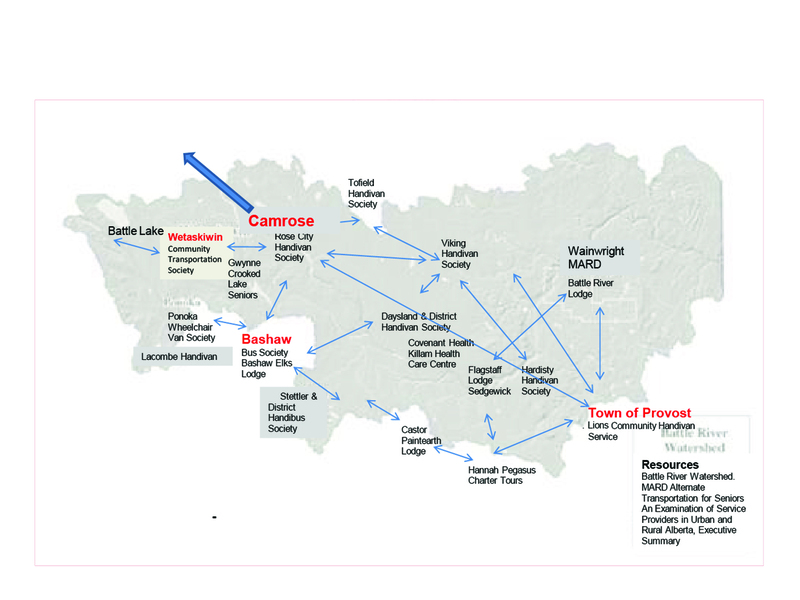 At the end of 2014, however, the project funding provided by Camrose County came to an end. 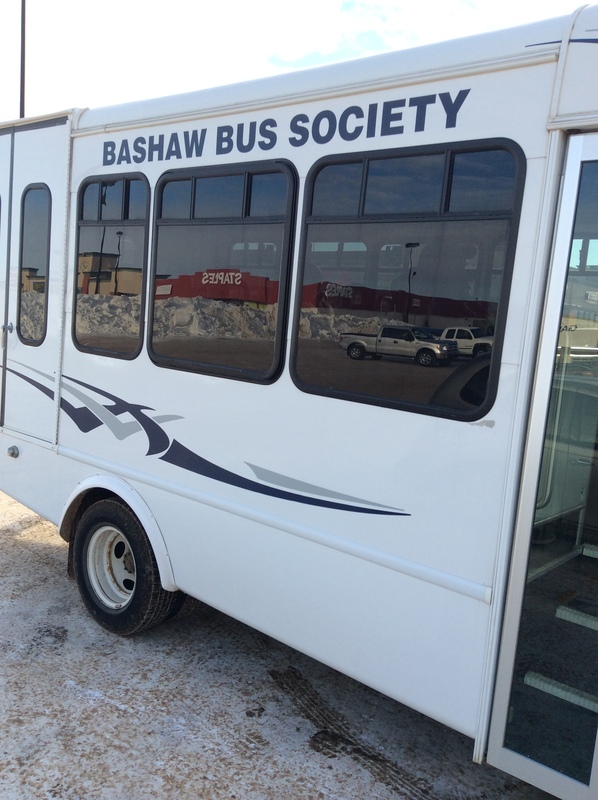 For the time being, Bashaw Bus Society is maintaining the weekly trip between Bashaw and Camrose on its own. Over the course of the year-long pilot project, ridership slowly increased, but not quickly enough. Ridership numbers would have presumably been higher had there been the resources to fund the public outreach work necessary to inform residents of the available service. It is clear at this point that in order to cover the ongoing operational costs for this regional service, there needs to be commitment from other levels of government to develop and implement a viable, affordable regional transportation model. So what’s next for the Battle River Bus? While actively working to make rural transportation a priority, ALL is also pursuing provincial and national granting opportunities, including tapping into the Federal Gas Tax Fund. In terms of long-term sustainability, however, ALL is committed to moving beyond grant dependency toward developing the capacity to design and apply a business model appropriate to the transportation needs of people in the Battle River Country. Jane Ross is the President of the Association for Life-Wide Living. She holds a PhD from the University of Cambridge and is passionate about her rural Alberta roots in the Battle River region. Continue reading the full article — Subscribe to Curb Magazine today.